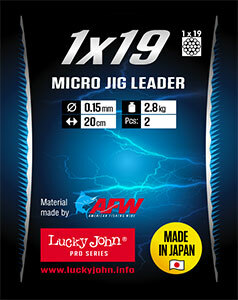 Special sport leader of 1×19 braid is made of American Fishing Wire material. 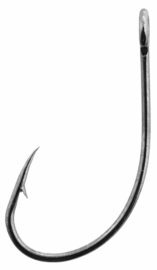 The diameter of leaders is 0.15mm – they are practically unnoticeable under water, therefore, they are recommended for perch angling and trout angling in waters, where pike is often caught. Leaders are available in two versions – with no-knot fast-snap (Item no. 6403-***) and FastLook Snap (item no. 6404-***), test of leaders – 2.8 kg. 2 pcs in a package.